It was an absolutely magic dry season morning for Blue Cycles NT Long Course Triathlon C'ships at Lake Bennett Resort at the weekend. Lake Bennett once again proved to be a top triathlon venue. Congrats to the organising committee headed up by Triathlon NT EO Ange Castle, RD James Geddes, the "I'm everywhere man" Phill Hatty and the squillion other wonderful volunteers of all ages who helped out - it was a top notch event enjoyed by participants and supporters alike! Lock it in for next year. Thanks to all those who have already purchased dinner tickets, it's going to be a great night. Tickets are on sale online here until 3pm today, so grab yours now for this family friendly, casual social opportunity to meet and/or get to know your fellow club members and friends. 1. This is a call for volunteers to fill the vacant spots for this event and other upcoming events listed on our Events Calendar. 2. 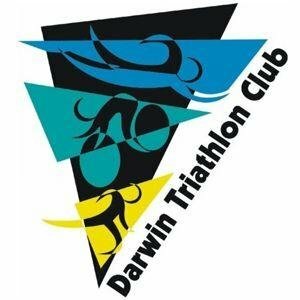 Please check the calendar and email darwintriclub@gmail.com with details of when you can help out and the positions you would like to fill. 1. Spare a thought for Ron Griep, his tri events in the Netherlands were cancelled due to hot weather! 2. Speedy recovery wishes to Michael Mondy who has spent some time in RDH & is facing surgery following a bike crash last Thursday evening. Michael would like to hear from anyone who witnessed his accident on McMillans Road. We will put you in touch if you did. 3. Amazing result for Heath Porter at the weekend. At the half way point of the swim, he decided to stop and remove his wetsuit and then made his way back through the field and finished in 2nd. 4. There were kangaroo sightings out on the bike course, but it was the stray bananas that had everyone talking afterwards. 5. Our equipment guy Alex Murdock is swapping his tri gear for some test cricket viewing in the UK. 6. We have another farewell coming up shortly. Lee Wilson and family are heading back to Brisbane to be closer to family after a 10 year stint in the Territory. 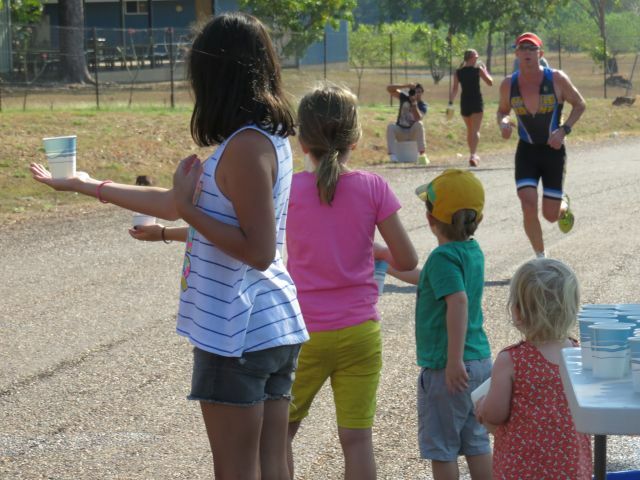 Lee has been a low profile in tri circles of late, but many have benefited via his contribution to the development of the sport through his coaching, his stint as Junior Development Officer for Triathlon NT and as a competitor. We wish Lee, Donna & family all the best with their move. 7. Friday track sessions originally started by Lee will continue with John Thyne at the helm. 9. Work is being undertaken at Lake Alex in an attempt to remove the stinky mud on the boat ramp area. 10. It's dry season and that unfortunately means bike theft is on the rise. Make sure you secure your bikes well at night. Mountain bikes seem to be targeted at the moment with a number of thefts reported in social media. 11. Reminder - jump in now and get those tickets for Saturday evening - we would love to see you all there.